A new partnership announced today will soon see Toyota building Suzuki models at its Burnaston plant in Derbyshire. The two car manufacturers first revealed they were discussing working together in 2017, but today they've announced concrete plans which will see the Japanese firms teaming up in a bid to remain competitive in a period of 'profound transformation'. 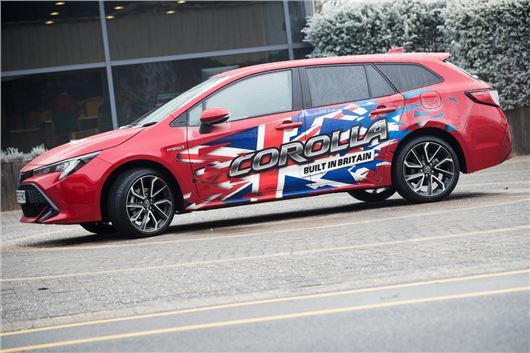 As part of the plans, Toyota will build two electrified vehicles for the European market based on existing RAV4 and Corolla estate platforms - the latter of which will be produced at Burnaston. These will be badged and sold as Suzuki models. In return, Toyota will adopt Suzuki engines for compact cars at its plant in Poland. While Toyota is a long-established producer of hybrid vehicles, Suzuki has only dabbled in mild hybrid technology in recent years. The partnership is likely to see self-charging hybrid Suzukis to be introduced, as well as plug-in hybrid models. “At the time we announced our scope of cooperation in May last year, I spoke that we will strive for success globally," said Suzuki's chairman, Osamu Suzuki. The partnership also includes various plans to work together in India and Africa. Sales of Toilet paper back to normal then. Sales of Carling, Coors and Burton Bitter on the increase!!!!!!! This is a refreshing change from the scaremongering that follows Honda's decision to leave Swindon. I bet the political pundits won't broadcast this. Nice to see Toyota and Suzuki doing this, but to remind Mr Fuller, they will produce the Vast amount of Cars in Poland, Maybe the ones produced here are to get round future import duties? And this has been all over the News just not as prominent as "BREXIT"! Also one last bit, we have large stocks of Lithium for the Batteries.